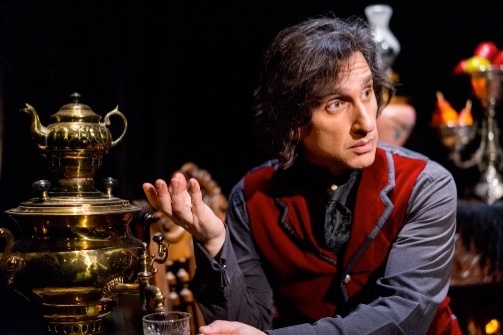 Hershey Felder is a man of many faces of musical plays, stories and biographies. Recently he revived and updated his personal love letter to Leonard Bernstein in “Maestro” as part of 23rd Lipinsky San Diego Arts Festival. 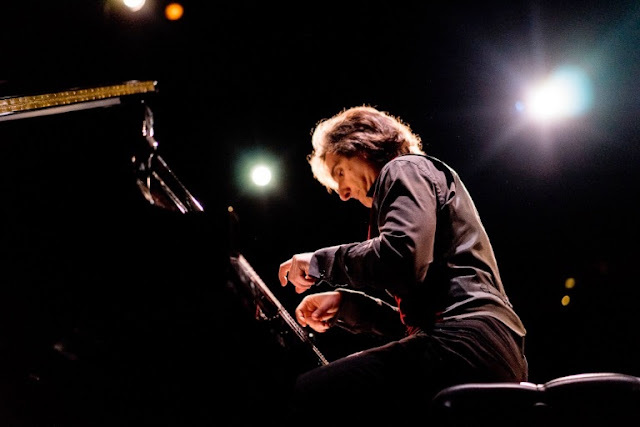 In the past, some of his musical biographies include Gershwin, Chopin, Berlin and Beethoven. He adapted, designed and directed "The Pianist of Willensden Lane" the successful play with music that played in the very same theatre. The tranquil set design is by the composer himself. It puts him up front and center against a background comprised of rather homey living spaces. A small picture frame suspended from the ceiling that enlarges what we see projected (Christopher Ash) in the background, is a perfect point of interest. Large birch trees occupy the big screen at his back. (It sort of reminded me of another of Russia’s great names, Anton Chekhov’s “The Cherry Orchard”). Those scenes will change from time to time with scenes from “The Nutcracker’s Ballet”, to beautiful gardens to black and white, in real time photos of some of his compatriots and functions he attended as a young man. 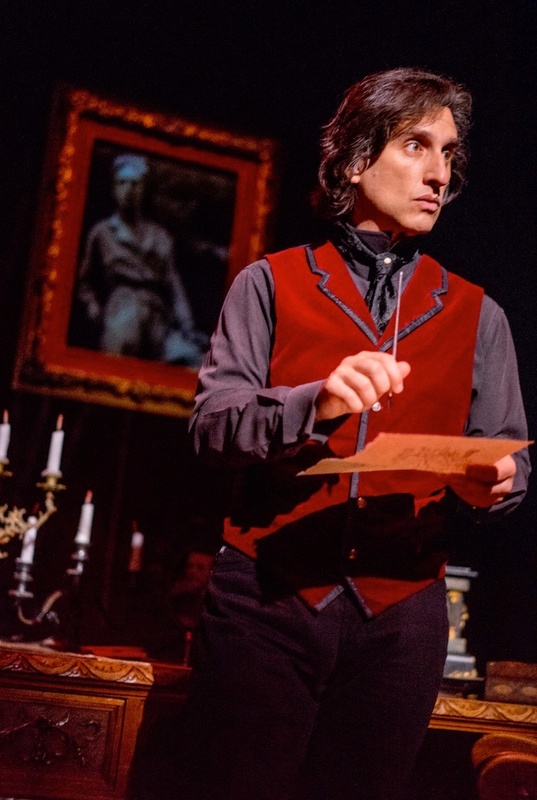 His grand piano is off center, and in an alcove off to another side of the stage is a comfy chair with writing table he used to take notes, compose letters and jot down ideas. Spotlight on Hershey as he walks on stage carrying a letter in his hand. He opens it, reads it out loud and there are small snickers, some muted laughs and not seen concerns. 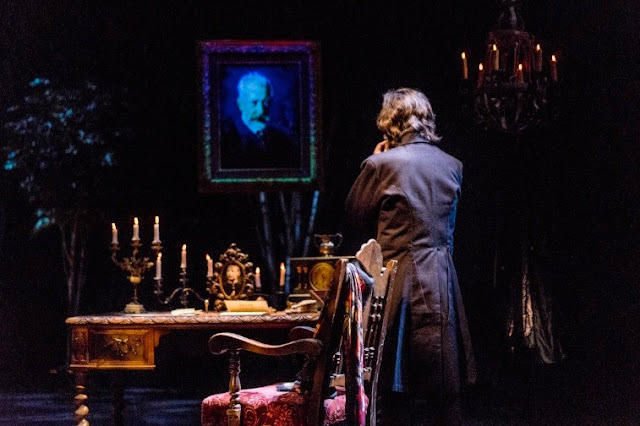 The letter, true story, is from the Russian government inviting Felder to come to Russia to honor their native son in this latest work, “Our Great Tchaikovsky”. ‘Let’s see how this plays in Peoria’. He asks us if he should accept the invitation. 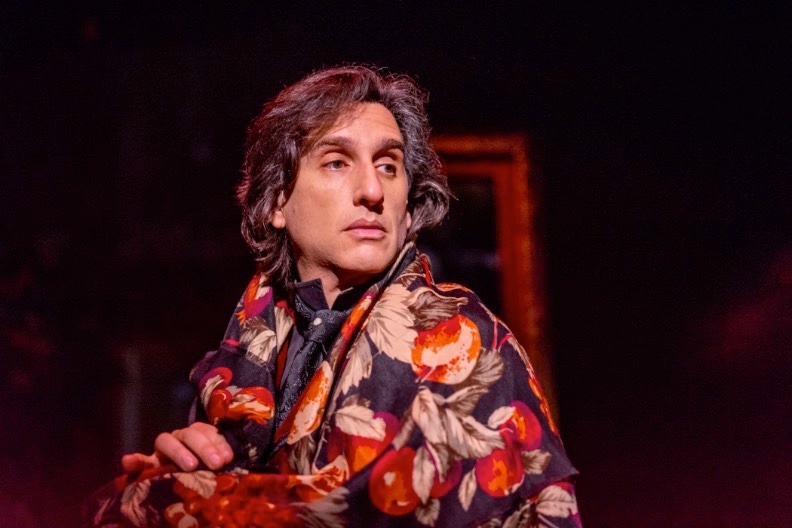 Jewish Hershey Felder paying homage to famous gay Russian virtuoso on Russian soil? That would take tons of chutzpah since besides playing in his own inimitable fashion some of Tchaikovsky’s more famous works, “Swan Lake” “1812 Overture”, “Nutcracker”, “Romeo and Juliet Fantasy Overture” and “Eugene Onegin” to name a few, Felder also speaks volumes about Tchaikovsky’s demons, i.e. how he dealt with his homosexuality from an early age until his death, that to this day still remains a mystery. Being homosexual in a homophobic world (consider Donald Trump’s 2017 world) in the late 1800’s Russia was something of a death trap for many homosexuals. In reality many decided to take their lives than to be put in prison for the crime of being gay. Fortunately for Tchaikovsky, his brilliance and world -renowned recognition helped refocus on the magnitude of his compositions as the government looked the other way for a time anyway. To this day the Putin government denies Tchaikovsky was gay. Felder is, once again in his element as both an entertainer and teacher. “I will do something I have never done before: show the audience how the character is created. And in so doing, hope to discover the great Tchaikovsky himself.” And so he does. From his early beginnings to his love of mother, to his training as a government intern, to his love of music and men, to his failed/doomed marriage to love letters discovered after his death, to his (Tchaikovsky) writings and creative process Felder’s composure and demeanor are always above reproach. Before our eyes, we see more Tchaikovsky than Felder as the maestro grows in recognition and stature. Tchaikovsky’s life unfolds before us as told by Hershey in a somewhat and sometimes difficult to understand Russian accent. It’s not terribly distracting, but if you have old ears, consider. Felder’s own playing is enhancement by Erik Carstensen sound design giving us a full -throated symphonic sound. Our own maestro’s playing is flawless, as usual. This piece is one of his more aggressive and concentrated plunges into the background and musical accomplishments of a complicated, gifted and troubled personality than most he has breathed life into. It’s all- good. It’s relevant in today’s world and calls out to be seen. It needs to be seen for many reasons not the least of which the piece is exciting, beautifully rendered and eye opening. Another is that one of the president’s and his cohorts more deliberate threat to defund the National Endowment for the Arts as well as the National Endowment for the Humanities for PBS Broadcasting is crushing If followed through it will destroy the very heart of artistic creativity. Hershey tells it like it is making no bones about the fact that it was not safe to be a homosexual in Russia. It doesn’t take a Philadelphia lawyer to make the comparison between Putin and Trump where in the US the LGBT community (among other groups) today faces its biggest threat, so far, yet.